‘Tis the season to be outside! 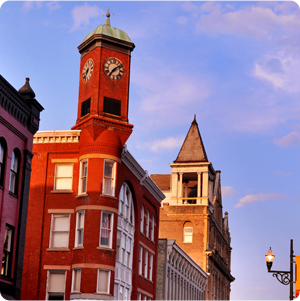 Fortunately for you, fellow seeker of warmth and sunshine, Staunton has excellent places for outdoor dining. Places you’ll be able to take a deep breath, nosh a bit, and throw back an ice cold drink for lunch, dinner, or after dinner. Byers Street Bistro (18 Byers St) – Head to the Bistro after work or meet friends for an afternoon chill-out beneath the umbrellas on the patio. Happy Hour deals extend from the bar, so watch for those offerings while enjoying a “shareable” like the fried green tomatoes, fried dill pickles, smoked bacon and corn hushpuppies, or chorizo fondue. In fact, get a plate of each and pass it around. 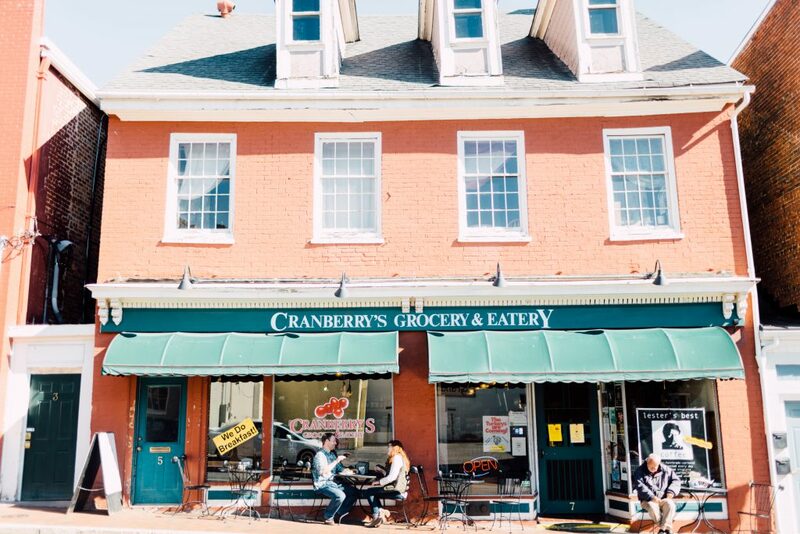 Cranberry’s Grocery & Eatery (7 S New St) – Shopping downtown around lunch time? Waiting for a show at Blackfriars? Cranberry’s is centrally located! Table 44 (300 Church St) – The covered patio is a signature space at Table 44, where a table is waiting for you! Try the refreshing feta and watermelon salad or splurge with a decadent dessert from Paris Cake Company. It’s a great option on a warm day or evening, especially when you add a sangria or a bucket of beer. Chicano Boy (300 Church St) – This small eatery boasts a huge patio that’s perfect for enjoying a meal with family and friends. 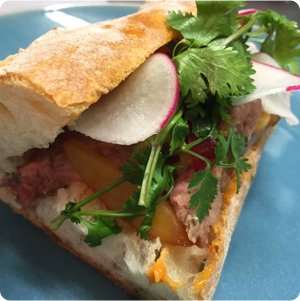 A local favorite after, Chicano Boy offers a great menu perfect for guests of all ages. Newtown Baking (960 W Beverley St) – Having been a Staunton staple for years, Newtown Baking provides fresh, delicious breads and pastries daily in addition to lunch. Open Wednesday-Saturday, you can now enjoy dinner, ranging from gyros all the way to wood-fired pizzas from 5:00 pm to 9:00 pm at the bakery. The Shack (105 S Coalter St) – Chef Ian Boden brings a fresh new menu every day of the week based on whatever is fresh from local producers. The Shack is a busy place and reservations are recommended if you can’t get there early. Having the deck enables more people to enjoy the incredible dishes Chef Boden is slingin’. Popular snacks for your five o’clock wind-down have included pimento cheese with benne biscuit crackers, and Sewansecott oysters on the half shell. 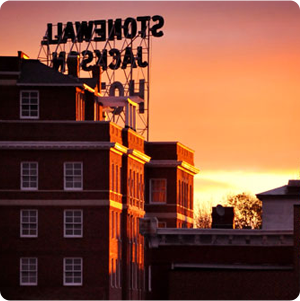 Thai Staunton* (1000 Greenville Ave) – Take your friends straight to the deck at Thai Staunton and order up the Asian sample platter to share while sipping cocktails. The deck overlooks bustling Greenville Avenue, but laughter among friends creates an entirely different atmosphere. The Pompei Lounge (23 E Beverley St) – The open-air rooftop terrace at The Pompei Lounge is the place to be on a hot summer night. When the sun goes down, the atmosphere becomes electric with live music, plenty of drink offerings, and bar bites that won’t disappoint. deck is an awesome place to hang out and sip one of their 22 tapped options of craft beer. Open Mic Night is Wednesdays, if you need a mid-week evening break. Bedlam Brewing (2303 N Augusta St) – A neighborhood hangout, Bedlam Brewing creates the perfect pub environment offering delicious wood-fired pizza and craft brews. 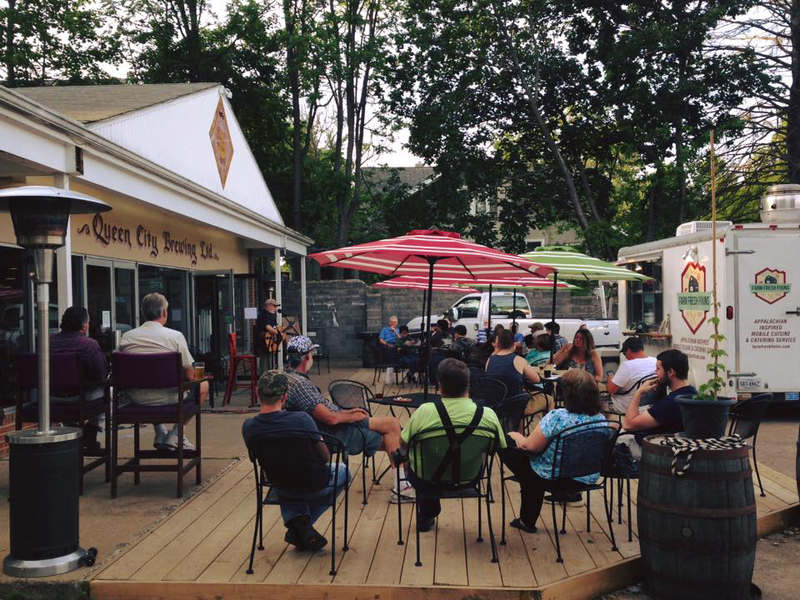 Their patio is the perfect place to relax and enjoy the live music that occurs at Bedlam on Fridays and Sundays. 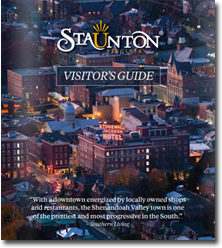 In conclusion, there are plenty of great options for outdoor dining in Staunton. 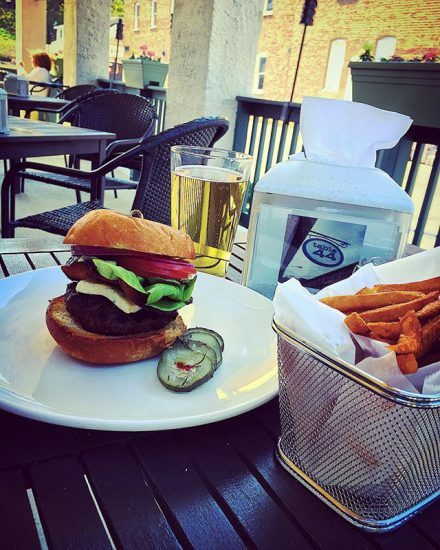 Other choices with limited outdoor seating include: The Pampered Palate, Clocktower Food & Spirits, and Farmhouse Kitchen and Wares, all serving a wonderful view of Beverley Street. Get out and enjoy!